There is so little actual advice on adding height that it’s easy to make mistakes or make it difficult for yourself. My advice over the months has always tried to give you detail of techniques and strategies. Here are some pretty basic tips with a few words explanation. Start out low, even if that means lifts at first: Take it at a reasonable pace, especially if you have never added height before. eg do NOT try to put too much added height into low day-to-day shoes for the office. It will only put you off the great stuff that you might achieve in the future with elevators. Get to understand (to some degree) footwear: the fit and space available for extra height becomes an issue if you are going taller, you will avoid potential problems by getting a grasp at an early stage of what can and cannot be done. Always test out your new height adding techniques/elevators etc on short walks before wearing them to something special or all day: whatever you decide on, trying stuff out first before plunging in and wearing all day is vital. This is important because you need to get a handle on slight variations when it comes to walking etc. Whatever it is you do, you do not want to find yourself far away from where you can change if you need to if you have just started something new. This is not SO much a problem with elevators but totally vital with lifts, which slip, slide and can pinch your feet after a short amount of time if you get it wrong. Elevators are an investment – choose your first pair carefully to fit your lifestyle: when I first went for elevators after over 10 years of wearing lifts, it was a revelation (greater comfort, greater height) – in my opinion, your first elevators should be something fairly classic and (unless you are used to wearing lifts quite a bit) in the 3” area. Go for more only if you are really used to height addition already through lifts, or are tall already. Do not tell ANYONE at all: you may defensively think “my girlfriend or best mate is bound to notice”. They are NOT bound to notice and it’s best you say nothing. If you have already started height addition using lifts you will know that no-one notices: this is entirely logical although it doesn’t seem so before you take the plunge. Of course if you went straight to 5” from zero, I think some close to you would notice! Again, go gradually – a 3” pair is actually not that much more than you get from some of the heavier sneakers/trainers or Timberland style boots. No-one gasps in amazement when you put your sneakers on and gain an inch and a half. Understand that everything is a trade-off above a certain amount of added height, around 3” imho: if you add a couple of inches or so, up to 3”, your footwear and walking and overall extra height will be pretty undetectable in terms of impact through change (you will just BE taller). But the taller you wanna get above that, the more things that you have to trade off. Every half inch above 3 inches and you need to consider lifestyle, how much you walk, the degree to which you do sport, what the rest of your clothes are like etc. For example, I wear 5” boots and just love them – but I have to accept that I cannot run, and I HAVE to wear them with casual clothes because they are thicker soled: I could not (even if I wanted to) wear these and take them off to play sport and put them back on again. I would worry that the height difference would be just too great. Think carefully about a long term strategy with height addition – imho this involves, in the long run, a few pairs of elevators, and lifts in other things. All our lives are different. What is yours like? 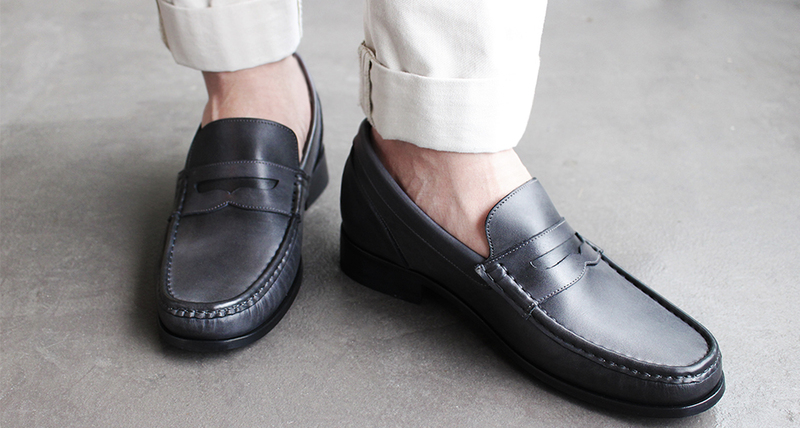 Do you have to wear low dress shoes regularly? Can you always wear sneakers and boots (as I do)? And on that basis be realistic about what you can achieve. I myself always add 4” to 5”. BUT if I were to have to have footwear on the odd occasion for a suit (wedding etc), then I will have to drop a bit. But I will STILL make sure in advance that I am in a position to gain the max either through elevators or lifts, or both. Planning helps. Always realize that even a small amount of (unnoticed) height addition works: no matter what your height, an extra couple or few inches really does make all the difference. That’s not a bad thing as you do not WANT people to notice you are ‘suddenly taller’ and they really will not when you start your journey upwards. This is a good thing and is testimony to how unobservant about gradual change we all are. In my own adult life I have basically added 5” over the years, starting with lifts up to a 3” total max and then on to elevators and not a single person has noticed. Ignore uninformed or weird comments on websites: the same people who tell you Elvis is still alive are telling you that your feet drop off within days if you look at a pair of elevators. Irrespective of comments from people like myself or PR on sites selling elevators, there is very little real help out there, and you will get none from ill informed little souls screeching their prejudices and jealousies online. Many people who set themselves up as experts also give misleading advice (usually unintentionally and because they do not really know). The only way through all this (as I did it) is with a bit of trial and error and patience. Mistakes are made (I made loads), so what? Make sure they are small mistakes and containable. Adding height is fun, enjoy it: this is really really important and I will do a piece on it at some point. It doesn’t get said enough. It really is NOT some desperate attempt to fool the world, but a way of adding to your appearance. Do it with confidence, and enjoy the extra inches you gain, however you do it. Always bear in mind practicalities, don’t push it too far too early, and ‘find your feet’ with height addition, then take it gradually and carefully upwards. Being so much taller gives me such a buzz.